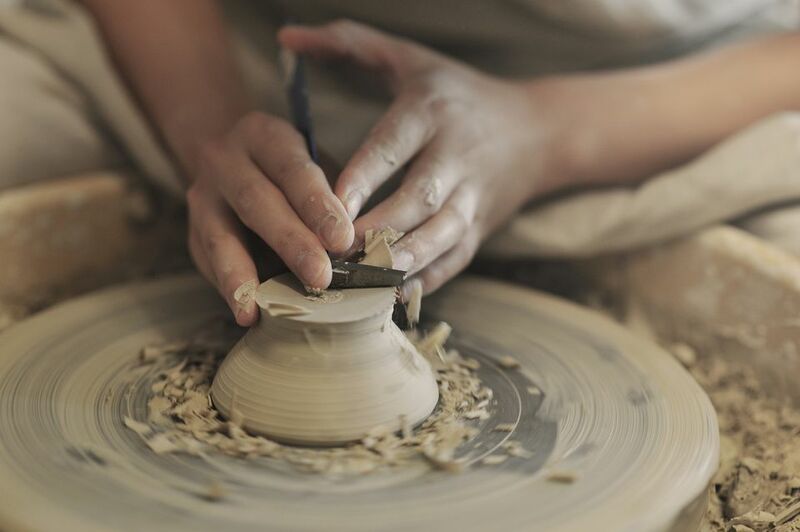 Ceramic glazes protect and seal fresh pottery, making it both functional and beautiful. This vitreous compound can transform a porous bowl, cup, or plate into a food-safe and stain-resistant eating vessel. And glazing is fun, too—arguably the most exciting procedure in ceramic-making. Once a glaze is applied and the piece is fired—causing a chemical reaction and, often, a transformation in color—the outcome is magical. But creating fired pottery pieces is not all hocus-pocus. A basic understanding of glaze application and firing yields consistent and desirable results, as the key components of different glazes each, have their own function. Silica (or industrial sand) is the key ingredient in glass, raw clay, and ceramic glazes. Silica can be obtained naturally from quartz, sandstone, sand, or flint, or it can be manufactured as silica oxide. When making your own glazes, products like quartz, flint, and pure silica can be added as the glass-former. In fact, if you get it hot enough, silica forms glass all by itself. However, silica's melting point (approximately 3100 F or 1710 C) is hotter than can be obtained by any ceramic kiln. Therefore, silica cannot be used on its own as a pottery sealer. Nearly all glazes contain alumina, or aluminum oxide, which acts as a stiffening agent. Without alumina, the glaze would simply slide off the surface of any vertical piece as it's applied, which is not an ideal scenario. By adding alumina as a clay (kaolin, ball clay, or fireclay) or as alumina hydrate (a white manufactured powder), the glaze can stick the pottery's surface without coming off. Not only does alumina stiffen a glaze, but it also helps to disperse fine gas bubbles that can form in the firing process. Additionally, alumina enhances pink hues used in coloring the final piece. 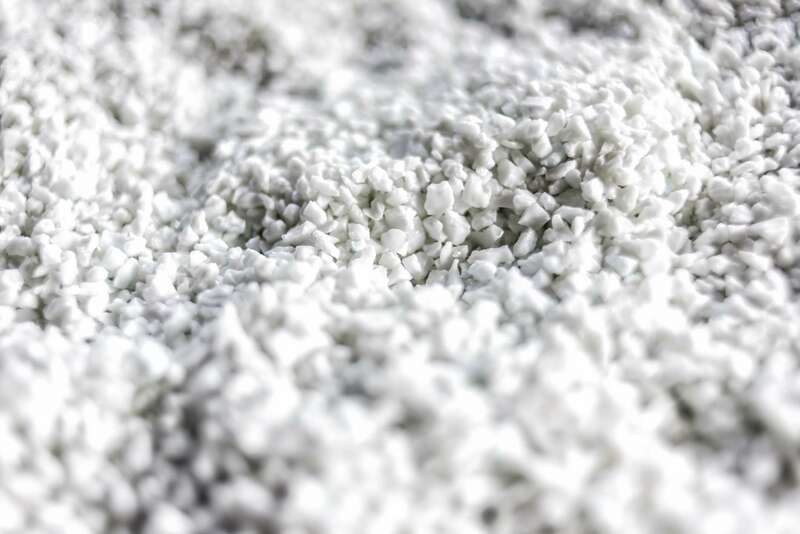 Fluxes play the key role in lowering the melting point of silica, making it usable in ceramic glazes. And, like silica, fluxes also promote vitrification (the transformation into glass). The most commonly used fluxes in ceramic glazes are obtained from limestone as calcium oxides. Potash feldspar and soda feldspar are good examples. Each flux works in its own peculiar way. Some are very active, allowing the glaze to mature at earthenware temperatures. Others are less active, and useful only when firing at mid- to high-range temperatures. It is important to note, however, that many of the metallic oxides used as fluxes are toxic and can be respired in their immature state. Use care and wear a dust mask when handling them. Also, make sure the final bowl, plate, or cup has reached full maturity to prevent any leaching into food served on or in it. Once melted, silica is transparent, making colorants necessary in order to achieve the wide range of hues that make decorating pottery with glazes so rewarding. Ceramic colorants must be able to withstand high temperatures without burning off so most are made from metallic oxides—a medium that can also affect the melting point of the glaze. Before firing, take into account what colorant you are using and do the math to make sure your firing temperature is correct. Also, raw metal oxides usually bear no resemblance to the color they produce in the glaze. Knowing what minerals create which colors is key to making your end product yield the hue you are going for. In addition to colorants, other modifiers may be added to glazes that affect opacity, iridescence, or the working quality of the glaze when it's still raw (unfired).